Lotus Elise at the Story Inn, originally uploaded by Fleur-Design. 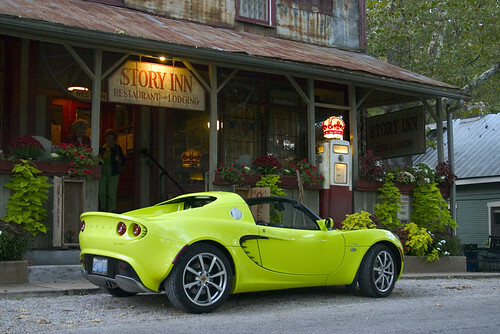 Krypton Green Elise outside of the "Story Inn", near Brown County Indiana. This beautiful picture was taken by Chris Watson. You can see more Lotus Elise pictures at his Lotus Elise Blog.